This episode was weird. There was some amazing character development but next to zero plot development. So I’m not going to dwell on the plot at all. Nothing new here. Zelena envies Regina, Regina would pity Zelena if she were the pitying type. Zelena tells Regina she runs away from everything, Regina tells Zelena to STFU. It turns out Zelena was just killing time so Rumple could get Regina’s heart away from Robin Hood (like you do). AMAZING fashion on both of them, though. Zelena makes Rumple her dress up doll (literally) and forces him to have dinner with her where she proposes he come back in time with her and get his dead in this timeline son back. He refuses because Rumple’s post-“death” characterization makes no sense whatsoever. Belle tells Regina off for past abuse and I think it’s the third person she’s done this with which is both awesome and terrible for Belle. Regina sort of apologizes because she needs Belle’s help. When Belle wavers she reminds Belle this is the most efficient way to help Rumple and Belle gives in because she is better than everyone. Long long ago Cora got duped by a gardener pretending to be a prince and ended up pregnant. Then she met the real prince, Leopold, YES THAT LEOPOLD (Snow’s dad who Cora married HER DAUGHTER Regina off to) and he fell in love with her. She convinced him to break off his cradle-betrothal to Princess Ava and marry her. But the gardener blackmailed Cora with the intel that, oh yeah, she’s pregnant with his kid (idk what Cora’s plan here was if she was already two months into the pregnancy when she met Leopold) and Ava overheard. Ava told Leopold, Cora was trapped, Leopold went back to Ava. Cora gave birth to Zelena and dropped her in the woods in order to give herself her best chance. 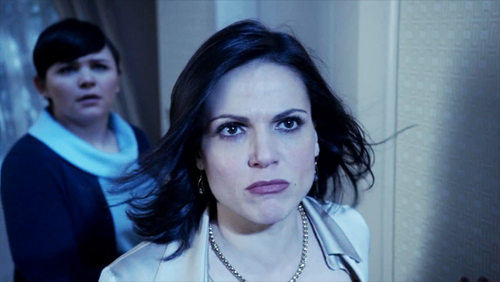 Regina and Snow find out THAT mess by summoning Cora’s spirit. Seriously, there is a seance. It’s weird. 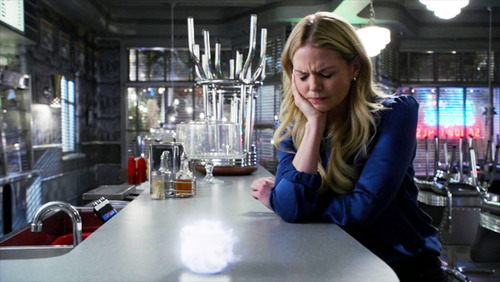 They open a portal but no one comes through so Regina closes it, disheartened. Emma, Hook and Charming leave but Snow stays behind with sad Regina. First they have an honest heart to heart about Cora. Snow had a hand in Cora’s death but Cora was a horrible person who they both wished dead more than once. Then Cora’s ghost shows up and goes for Snow but Regina heroically throws herself in between them. When Cora succeeds in possessing Snow Regina yanks her out proving again that Regina is extremely powerful when the stakes are high. But Cora wasn’t trying to kill Snow, she was trying to tell her the truth. Snow discovers that her mother told Cora’s secret just like she had told Regina’s and feels bad all over again even though it has seriously never been Snow’s fault. All of this is easily and by far the best part of the episode. Snow and Regina have a number of honest exchanges about their complicated history and both are better for it. Regina does not use this new knowledge to make Snow feel badly about herself or her mother, instead they bond. And Snow gives Regina the push she needs to stop ‘running away and wallowing in self pity’. 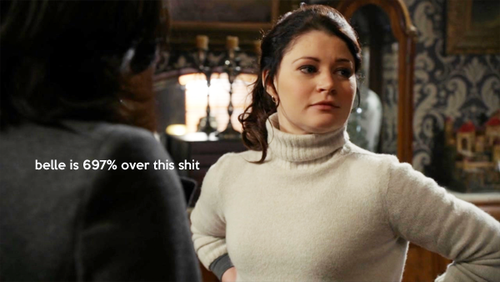 Regina and Snow 5EVA. Emma is awesome at magic. Hook broods. Robin gives Rumple Regina’s heart to save Roland. Regina forgives him because she is all about saving kids. Later, after learning that Cora is the worst and Snow is the best, she heads to the forest to make out with Robin. Ngl, they’re hot. Belle uses her Awesome Research Skills to figure out that Zelena is planning to travel back in time to …. do something back in time. All she needs now is the Snowing Baby.